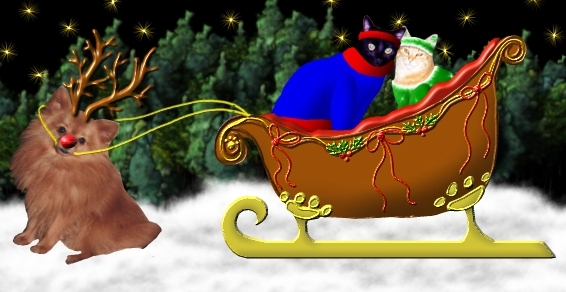 The kitties have fun throwing snowballs and making snow kitty angels. The kitties have fun throwing snowballs and making snow kitty angels. 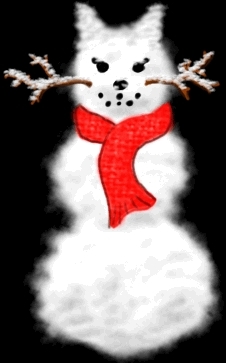 Together they make a giant snowcat! 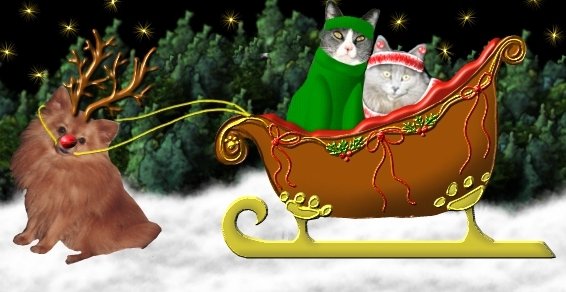 The KiThe kitties finish the evening with romantic sleigh rides, thanks to the generosity of Triffan! Ivy: Wheeeeeeeeeeeeee! This is fun Pepper! Pepper: (sings) Oh what fun it is to ride with my lovely bride! Simon: Having a good time Princess? Sensi: Oh this is the best honeymoon ever !